Relationships are the backbones of all small businesses. Without them, it can be difficult to attract referrals, participate in industry events and build a positive reputation for your business. So, outside of hard selling (which often has a negative effect on customer interactions), what is another method of strengthening relationships? Here, Palmer offers his top tips on building an effective customer-facing newsletter. Newsletters are not about the hard sell; they are meant to generate interest in and a personal connection to your business. Palmer recommends starting your newsletter with a client success story. Maybe your service helped a customer save money on health insurance premiums. Describe in detail (using the name of your client with permission) what you did from start to finish and how it helped your customer. Tip: Focus on how the customer was helped, not on your product. 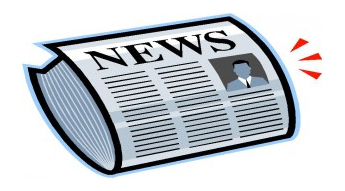 Write the story like a news article, not sales flyer. Write a headline (i.e. ‘Company saves $50,000 on insurance premiums.’) and a subheadline (i.e. ‘Here’s how we did it.’). Lets say you are the owner of a CPA firm and the majority of your clients come to you for end-of-year tax help. Are they also aware that you aid in estate planning, financial planning and even teach classes on how to save money? Probably not. “Use your newsletter to tell your customers what else you do in your business,” he suggests. After the ‘what else’ section, include fun, interesting and entertaining stories that your clients would be interested in reading. Don’t focus on your business. Instead, if you are an accountant, write up a story on how to save money on a family vacation or how to lower your air conditioning bill in the summer. Conclude your newsletter with a noteworthy story about yourself (maybe your family adopted a new pet) or an employee. Just make sure the story is interesting, not just a profile on someone for no reason.